I got one of these on ebay. A GREAT stove. It does not come with wind protection, but then most of the time that can be found on the trail. This stove is a miser on fuel and burns hot. The feature that makes this one better than some of the others is that the flame shoots straight up making it more efficient for smaller pots. If you use the freezer bag method of cooking dehydrated food then you can get 15 meals out of one of the small fuel canisters. 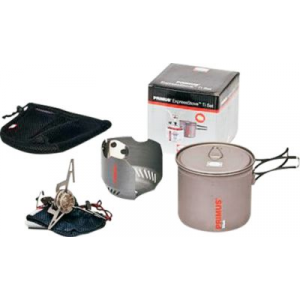 That makes this stove and fuel lighter than just the fuel needed to cook that many meals on an alcohol stove. This tiny lightweight stove is a jet engine when it lights! 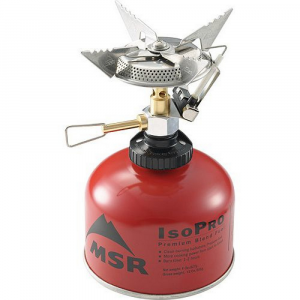 Boils a quart of water in minutes at 9000 ft. and the butane/propane mix allows for lengthy use. I made a pea soup which required 1.5 hours of simmer at 9000 ft. and I still had enought fuel for coffee for four in the morning. 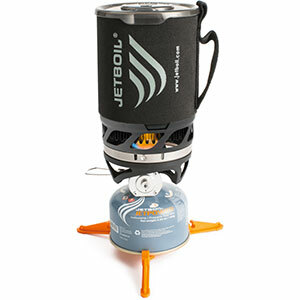 This is an excellent stove for those who insist on canister stoves for fast food use on the trail (i.e., boil water). I bought this stove more to use at work (quick hot lunches instead of sandwiches or microwaved dishes) instead of using it in the field. Due to management concerns of safety, I had to use a canister stove rather than any liquid fuel stove, and the Micron seemed to fit the bill perfectly. This stove performed quite well in its intended role, burning very hot and boiling water very quickly. With the flame vertical, with little horizontal spread, makes using a taller pot with a smaller diameter very efficient. However, this flame is not the best for wider pots (small flame area leads to burning). I used this stove on the average of three days a week (often five days a week during the winter) for over seven years straight. Only two "problems" I found with this stove. The first is the relatively small pot supports that make using this stove with larger pots a study of maintaining balance. However, since I was using the GSI Solo two-pot set, the pot diameters were well within the support range of the holders. The second problem was more problematic—the pietzo igniter failed in just over a year. This was more an inconvenience. I had never before used a built-in igniter, so reverting to using a lighter was no problem. 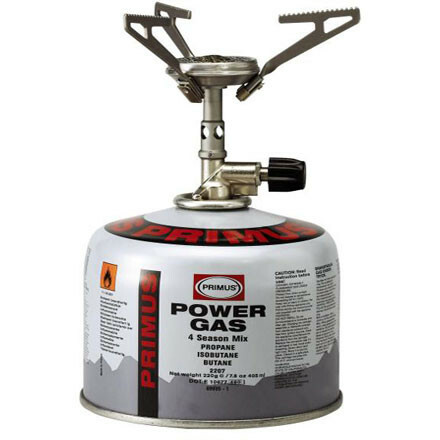 As a note, a Primus retailer (MEC in Canada) listened to my complaint about the igniter, and then gave me a new one without charge—this even though I didn't buy the stove their (talk about good product backup!). 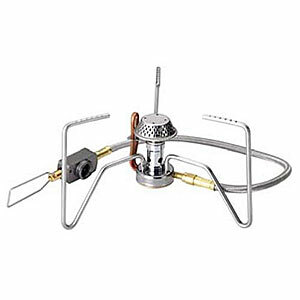 Overall, I recommend this stove for most applications where boiling is the primary concern and simmering is not super critical. Note that for simmering, I was very successful in using a heat spreader to alleviate this limitation. Thanks for the review, Waldy. 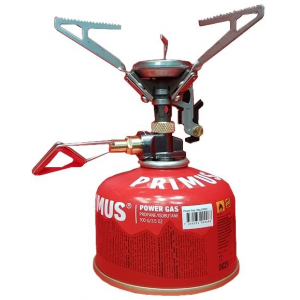 The Primus Micron Stove is not available from the stores we monitor. It was last seen October 28, 2010	at Gear for Adventure.